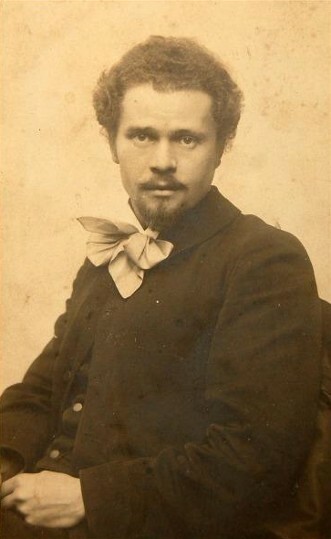 Trush, Ivan [Труш, Іван; Truš], b 17 January 1869 in Vysotske, Brody county, Galicia, d 22 March 1941 in Lviv. 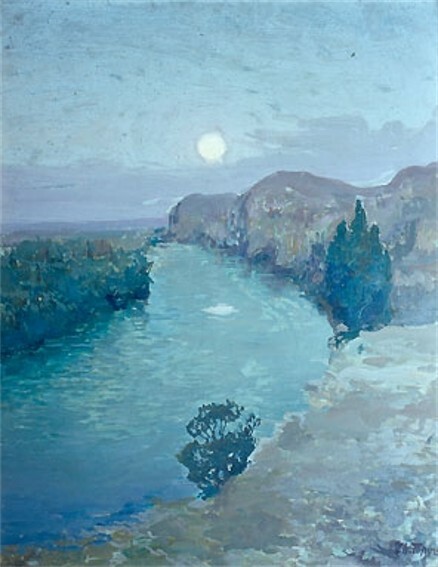 (Photo: Ivan Trush.) 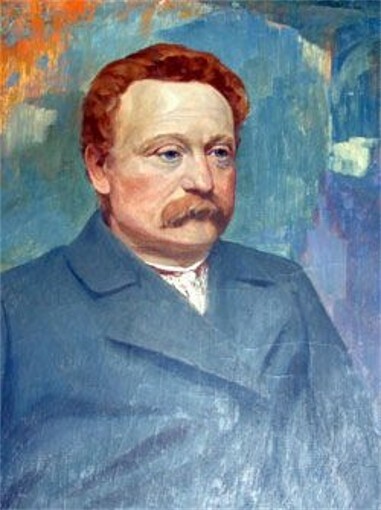 Painter, community figure, and art and literary critic; son-in-law of Mykhailo Drahomanov. 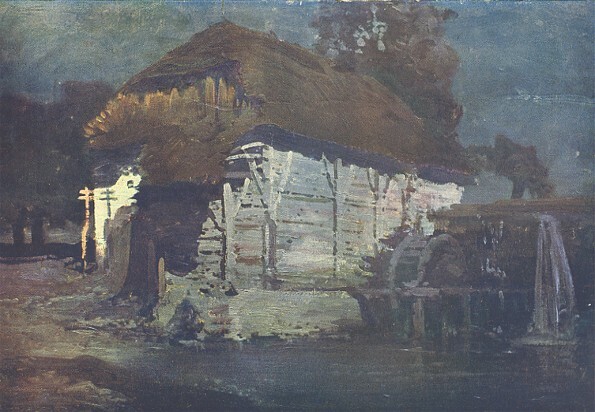 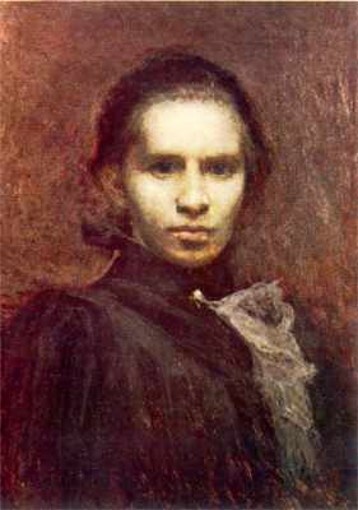 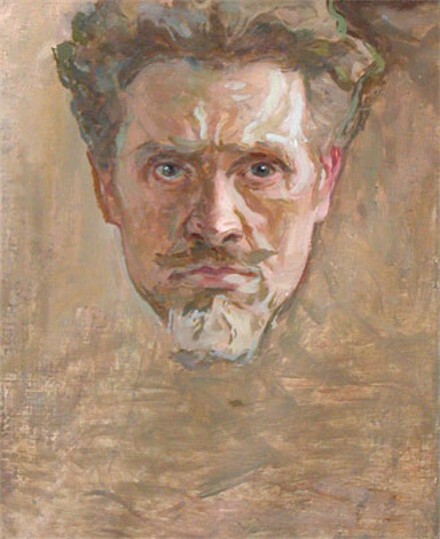 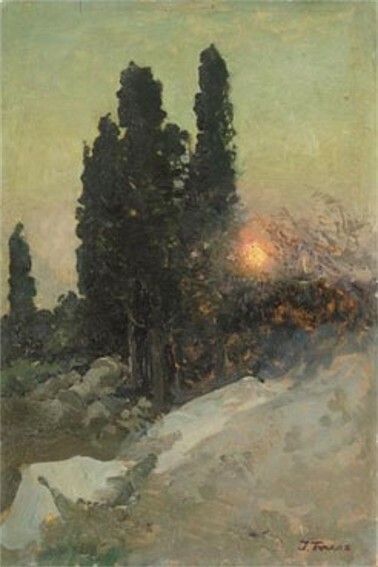 After studying at the Cracow Academy of Fine Arts (1891–7) under Leon Wyczółkowski and Jan Stanisławski he lived in Lviv, where he was active in Ukrainian artistic circles and community life. 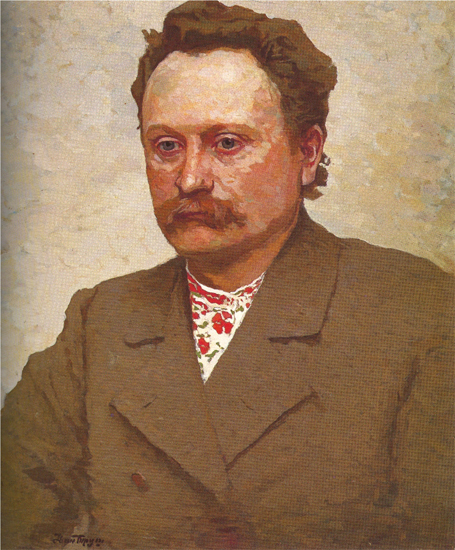 A friend of Ivan Franko, he organized the Society for the Advancement of Ruthenian Art and the Society of Friends of Ukrainian Scholarship, Literature, and Art and their exhibitions; copublished the first Ukrainian art magazine, Artystychnyi vistnyk; painted many portraits for the Shevchenko Scientific Society; lectured on art and literature; and contributed articles to Buduchnist’, Literaturno-naukovyi vistnyk, Moloda Ukraïna, Artystychnyi visnyk, Dilo, and Ukrainische Rundschau. 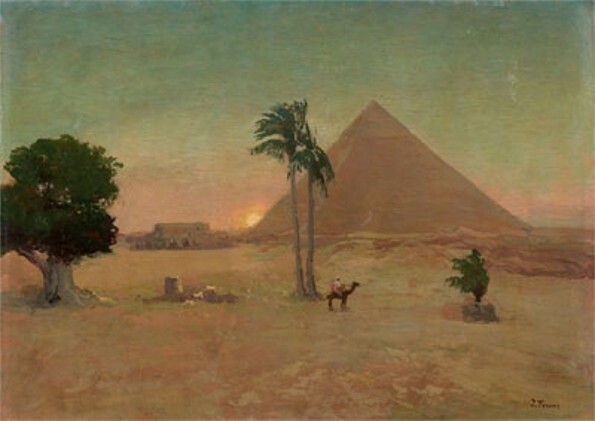 He traveled widely: he visited Kyiv several times (he taught briefly at Mykola I. Murashko's Kyiv Drawing School in 1901), Crimea (1901–4), Italy (1902, 1908), and Egypt and Palestine (1912). 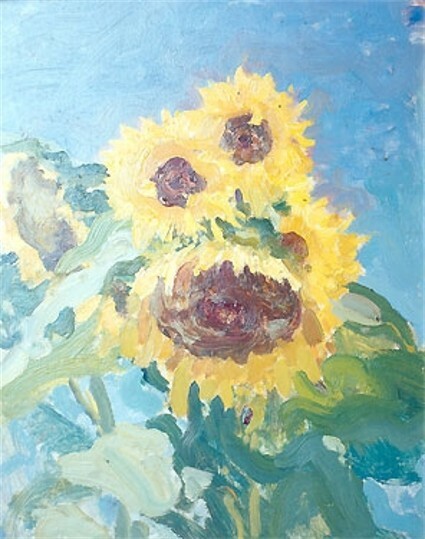 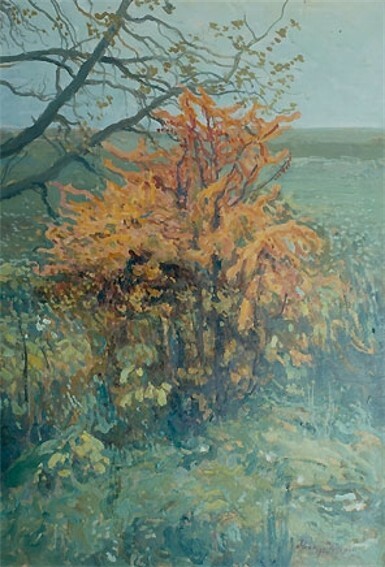 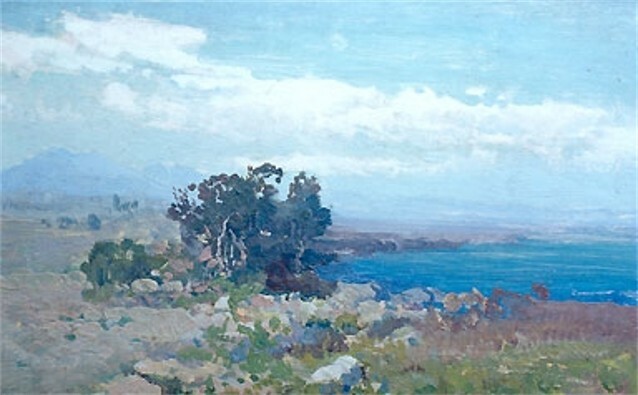 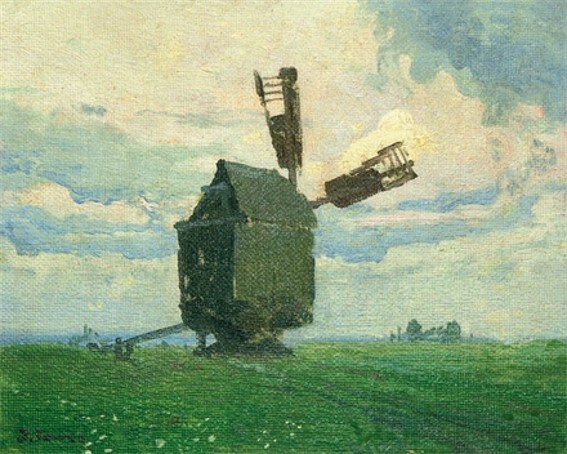 Trush was an outstanding Ukrainian impressionist, noted for his original use of color. 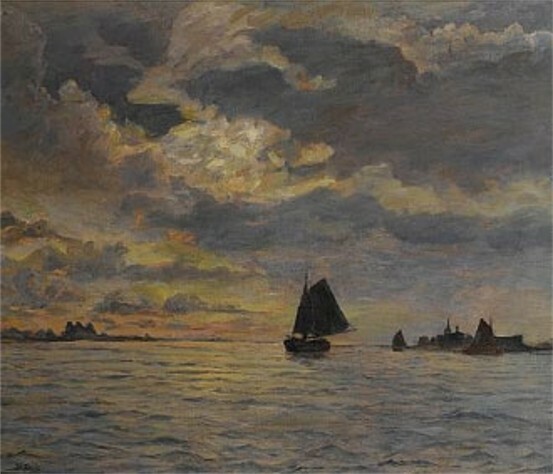 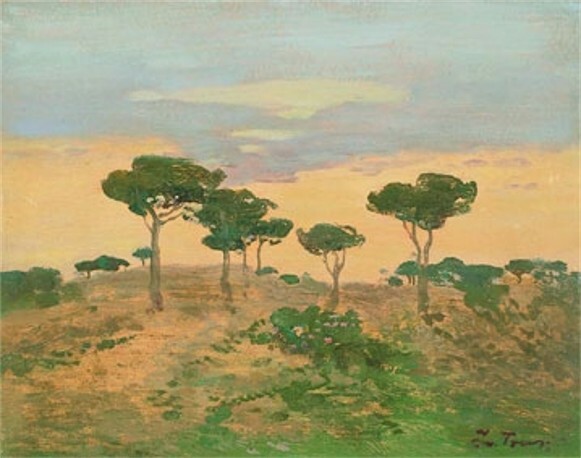 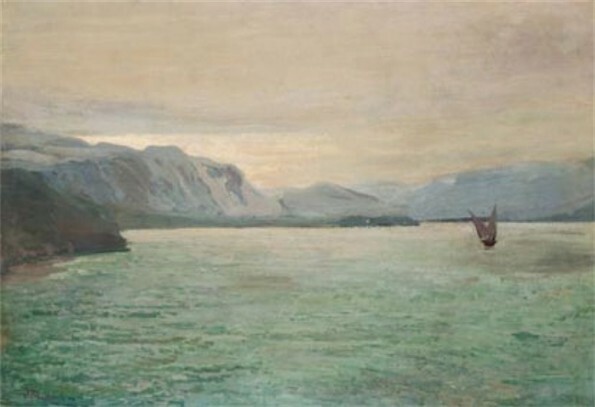 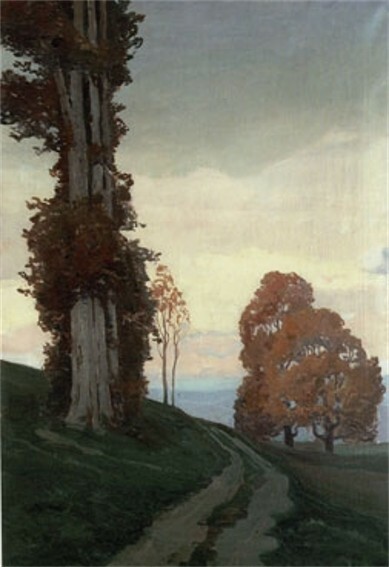 A major part of his large legacy (over 6,000 paintings) consists of landscapes. 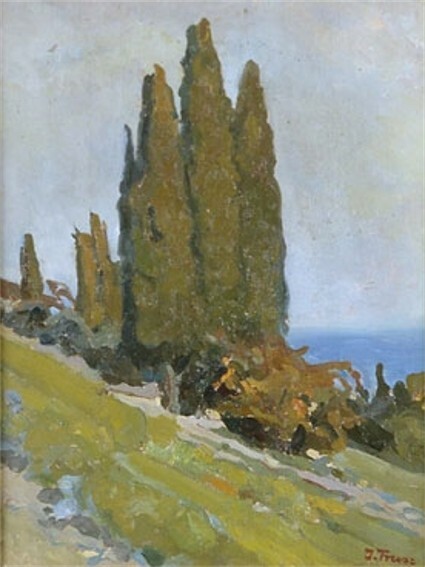 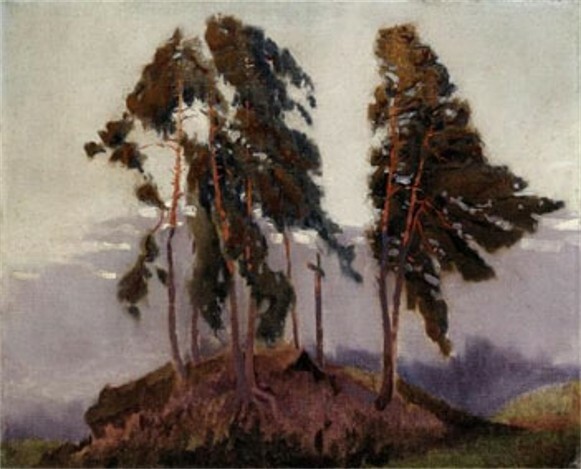 They include masterpieces, such as Sunset in the Forest (1904), Solitary Pine (1919), Grain Stacks near the Woods (1919), Haystacks, and Moonlit Night by the Sea (1925); the cycles ‘The Solitary Pine’ and ‘The Jewish Cemetery,’ (1929); St Michael's Cathedral, and St Andrew's Church [in Kyiv] and T. Shevchenko's Grave in Kaniv (1900); and landscapes of Crimea, Rome, Venice, Egypt, and Palestine. 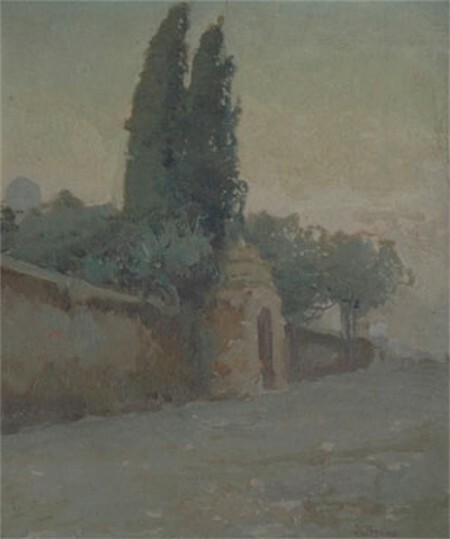 His many genre paintings are noted for their simplicity of composition; they include Hahilky (1905), Hutsul Woman with Child (1912), Trembita Players, Washerwomen, Hutsul Women near a Church, Arabs on the Road, and An Arab Man. 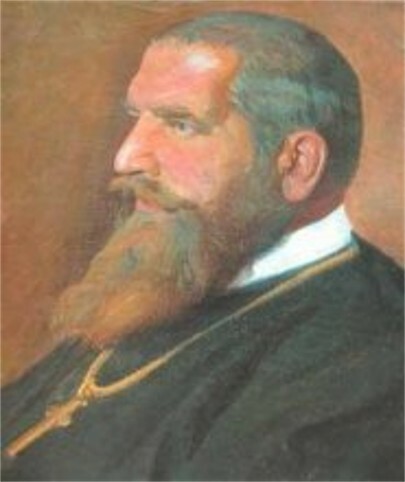 His gallery of 350 portraits includes ones of his wife, Ariiadna, Cardinal Sylvester Sembratovych, Metropolitan Andrei Sheptytsky, Ivan Franko, Vasyl Stefanyk, Lesia Ukrainka, Oleksander Konysky, Ivan Nechui-Levytsky, Volodymyr Antonovych, Borys Hrinchenko, Mykhailo Drahomanov, Mykhailo Hrushevsky, and Mykola Lysenko. 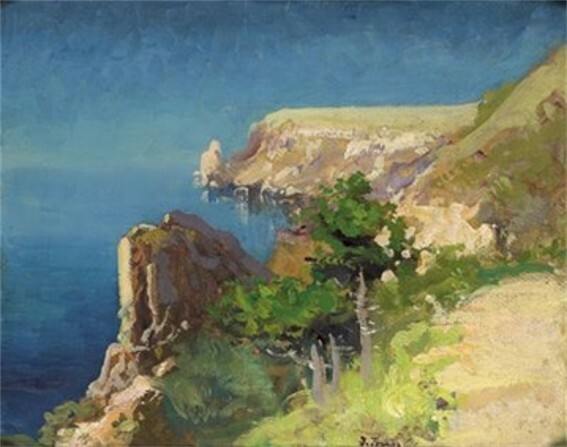 The first solo show of Trush's works took place in Lviv in 1899, and a large retrospective exhibition was held posthumously there in 1941. 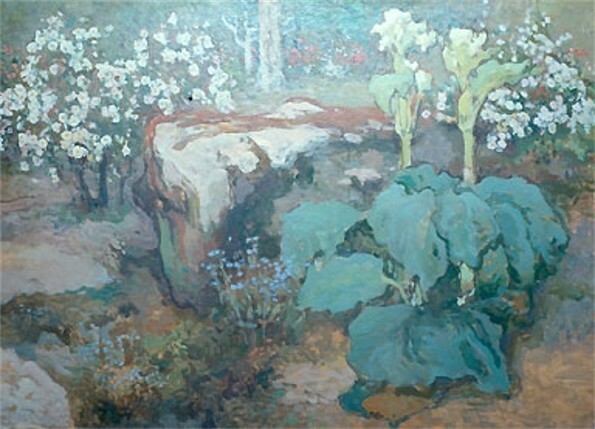 Major collections of his work are at the National Museum and the memorial museum in his former residence in Lviv. 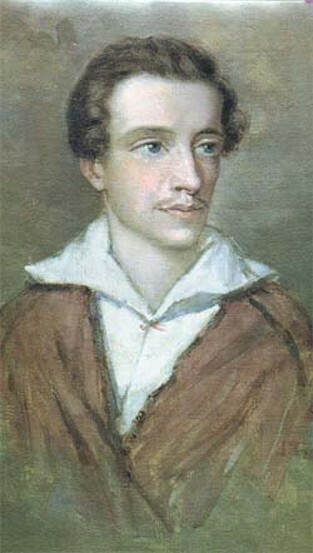 A selection of his essays on art and literature appeared posthumously in 1959.